לא פעם נתקלתי במצב בו יש צורך להסיר Domain מ- Tenant מסויים ב- Office365 , למשל כאשר ה- Domain שוייך ל- Tenant ויש צורך לשייך אותו ל-Tenant אחר. במקרה שלי רציתי להסיר את כל המשתמשים המשוייכים לדומיין על ידי סקריפט. * יש לשנות את – Domain.co.il לשם הדומיין אותו מעוניינים להסיר. לאחר שקיבלנו רשימה ובדקנו שהיא אכן מכילה את המשתמשים הנמצאים רק בדומיין אותו אנחנו מעוניינים להסיר ניתן להמשיך ולהסיר את כלל המשתמשים. הפקודה הבאה מסירה את כלל המשתמשים בענן שה- User Principal name שלהם זהה לשם הדומיין אותו מעוניינים להסיר. $DomainName = "*@[YOUR DOMAIN FQDN]"
Since its launch in March 2017, Microsoft Teams has evolved to become the ultimate hub for teamwork and has grown significantly in capabilities. Teams delivers chat-based collaboration, meetings, calling, and enterprise voice features as we’re bringing all the Skype for Business Online capabilities into Teams. Teams for Education (which replaces the Microsoft Classroom app that was in public preview the “one stop shop” for students and educators. 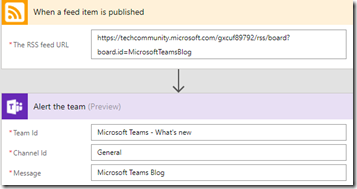 Microsoft just launched 27 new features for Teams! 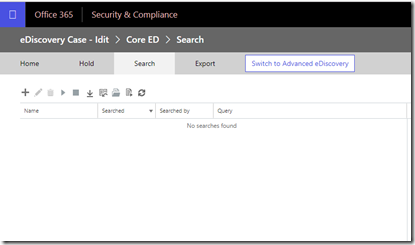 An overview of security and compliance in Microsoft Teams. 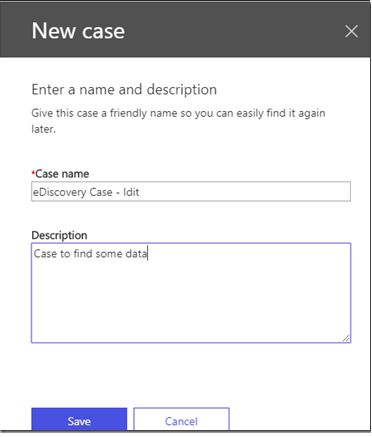 eDiscovery הוא תהליך של זיהוי והעברת מידע אלקטרוני שנועד בין השאר לשמש ראיה במקרים משפטיים. 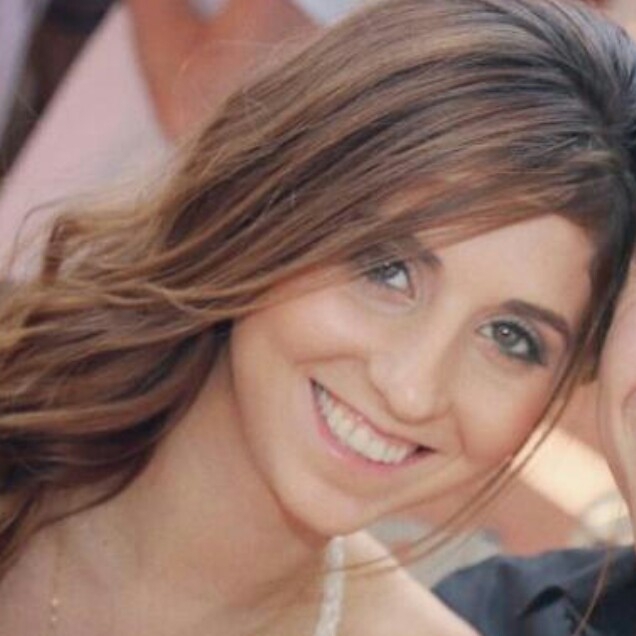 כאשר נוצר Team חדש ב- Microsoft Teams, הוא יוצר באופן אוטומטי Office 365 Group וכיוון ש Office 365 Group קיימות בתוך Office 365, הן עשויות להיות כפופות למדיניות אבטחה ותאימות ב- Office 365. על כן תוכן שפורסם ב- Microsoft Teams, כפוף למדיניות זו ומאפשר לארגונים לבצע חיפושים , eDiscovery ו- Hold לתוכן. 1. 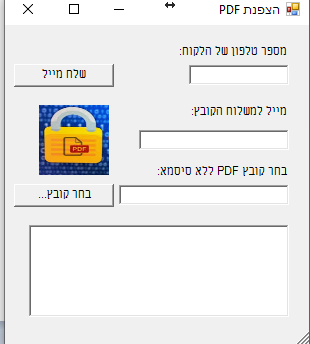 על מנת שמשתמש יוכל לבצע כל פעולה הקשורה ל eDiscovery יש לשייך אותו לקבוצת ההרשאות המתאימה ב- Office365. לאחר שה-Search רץ בהצלחה, ניתן לייצא את התוצאות לדוח. לסיכום – eDiscovery הוא עוד כלי נהדר של מיקרוסופט העוזר לנו לשמור על אבטחת המידע הארגוני בעזרת Content Search ו- Hold. 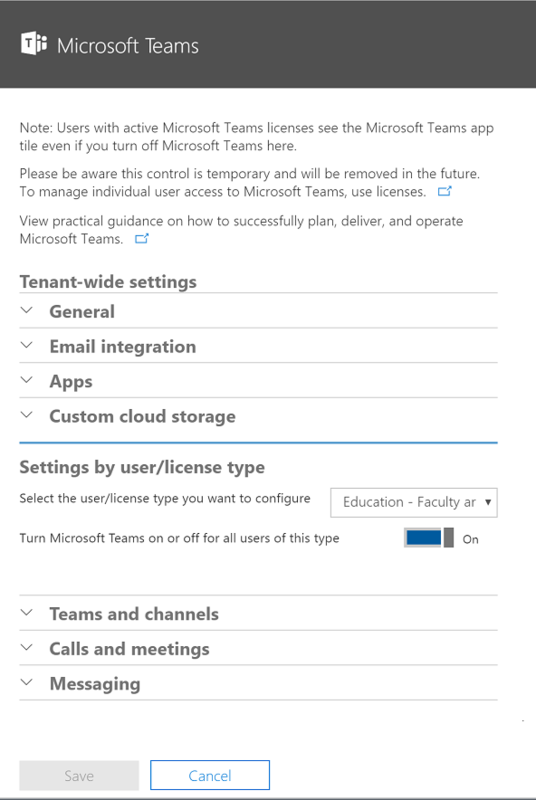 By default, Teams is turned on for all organizations.Teams has multiple settings that can be turned on or turned off at the Office 365 tenant level. As an administrator for your organization, you can assign user licenses to control individual access to Teams, and you can allow or block what content sources can be used in Teams. 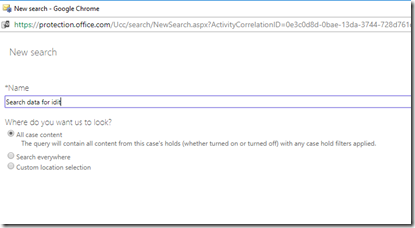 *Note – After Teams is disabled, access from the Teams client is blocked, but data available through other clients and services is still available, such as files via SharePoint and OneDrive. All data remains in place unless the teams are explicitly deleted. 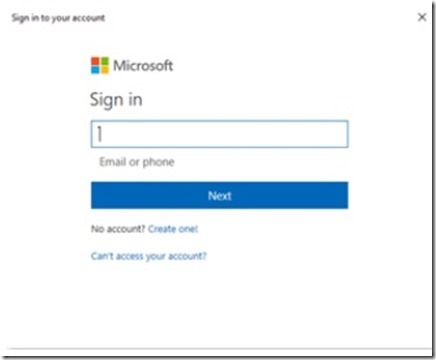 Sign in to the Office 365 Admin center with an account that has Global Administrator privileges. To turn on Teams for the organization use the license picker and select each license then set the toggle to On and then click Save. Show organizational chart in personal profile: When this setting is enabled, it shows the organizational chart icon in the user’s contact card and when clicked, it displays the detailed organizational chart. 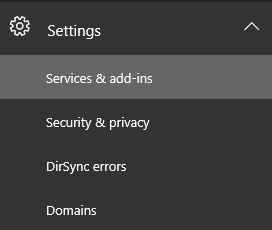 Use Skype for Business for recipients who don’t have Teams: When this setting is enabled, it allows Teams users to contact other users in the organization that are not enabled for Teams via Skype for Business. Allow T-bot proactive help messages: When this setting is enabled, T-bot will initiate a private chat session with users to guide them in using Teams. Turn on this feature so users can send email to a channel in Teams, using the channel email address. Users can do this for any channel belonging to a team they own. 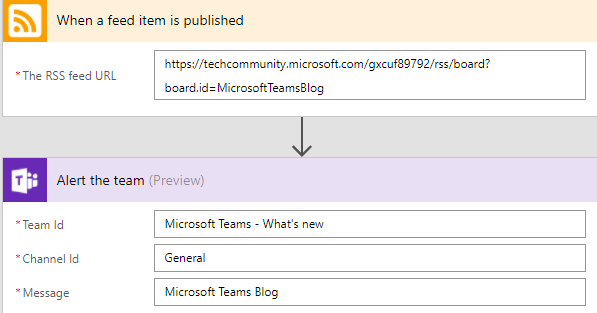 Users can also send emails to any channel in a team that has adding connectors enabled for team members. And, even if a user doesn’t have permission to create a channel email address, if someone who does have permission creates that address, the user can access it from the <more icon> menu for that channel. Allow users to send emails to channels: When enabled, mail hooks are enabled, and users can post messages to a channel by sending an email to the email address of Teams channel. 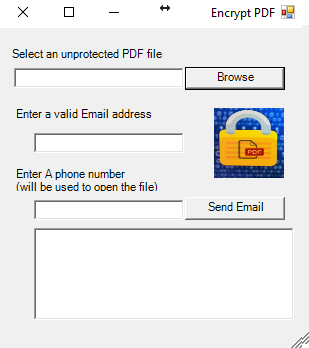 To find the channel’s e-mail address, click More options next to the channel name and then select Get email address. Restricted Senders List: Senders domains can be further restricted to ensure that only allowed SMTP domains can send emails to the Teams channels. Apps in Teams are a terrific way to integrate the tools and services your team cares about, right into any channel or chat. 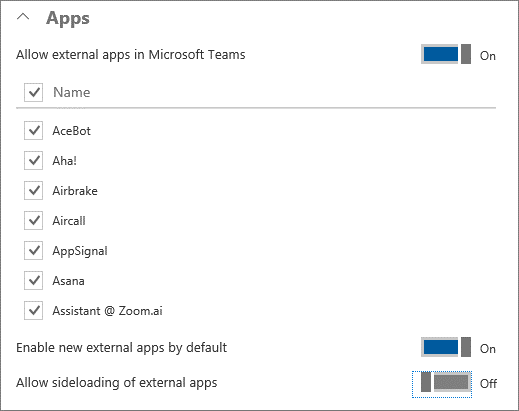 Allow external apps in Microsoft Teams: When enabled, users can add tabs and bots that are available to the Office 365 tenant. Allow sideloading of external apps: When enabled, users can install and enable custom bots and tabs. Cloud storage options in Teams currently include Box, Dropbox, Google Drive, and ShareFile. Users can upload and share files from cloud storage services in Teams channels and chats. 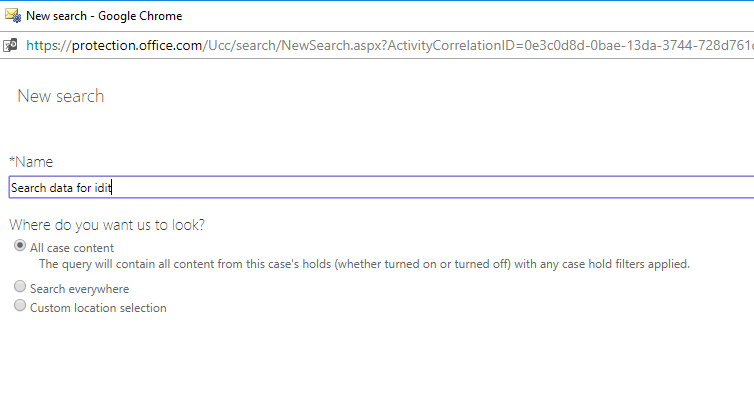 Click or tap the toggle switch next to the cloud storage providers that your organization wants to use. In User settings by license, you can turn on or turn off options in Teams and channels, Calls and meetings, and Messaging. 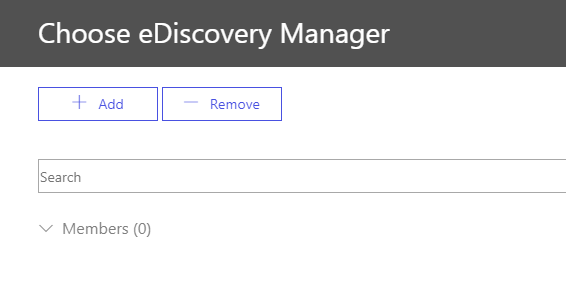 As an admin, you can manage team owners and members by using the Groups dashboard in the Office 365 admin center portal. 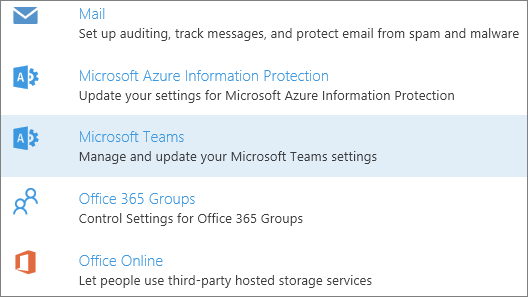 In the Teams and channels section, click the link for Use the Groups dashboard in the Office 365 admin center to manage teams. You can control which users in your organization can create teams in Teams. .
By default, every user can create a team or group. Choose Teams on the left side in the Teams client (desktop client or web app), then choose Create and join team at the bottom of the client, below the team list. 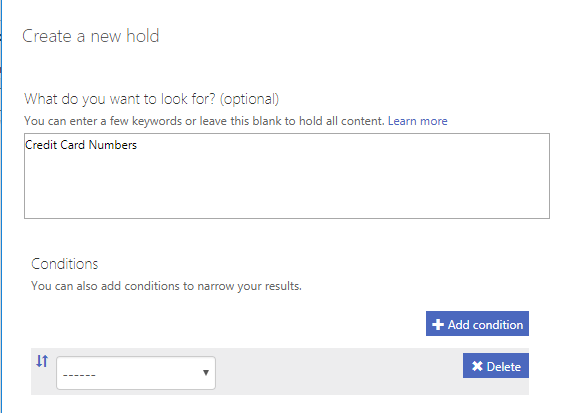 The default maximum number of teams that an Office 365 tenant can have is currently 500,000. A global admin can create an unlimited number of teams. A user can create 250 teams. A team owner can add 2500 members to a team. Channels are subcategories of teams. Anyone on the team can add a channel and participate in the conversations in a channel. You might create a channel for an activity or for a department. Conversations, files, and wikis are specific to each channel, but all members of the team can see them. 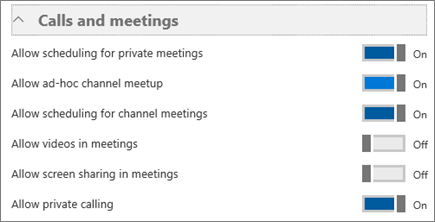 Allow scheduling for private meetings: When enabled, users can schedule private meetings that are not listed in any channel. Allow scheduling for channel meetings: When enabled, users can schedule a meeting for a channel that all channel members can easily join with a single click. Allow videos in meetings: Specifies whether the use of video is allowed within the meetings. 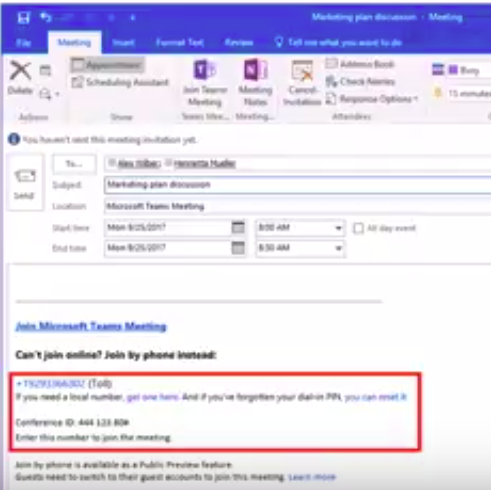 Allow screen sharing in meetings: Specifies whether screen sharing is allowed within the meetings. Allow private calling: When enabled, users can make private calls. The maximum number of people in a meeting is 80. There can be 20 members in a private chat, including the user who created the chat. Enable Giphy so users can add gifs to conversations: When enabled, users can use animated pictures within the conversations. Enable memes that users can edit and add to conversations: When enabled, users can use internet memes to make humorous posts. Enable stickers that users can edit and add to conversations: When enabled, users can post images with editable text to get channel members attention. Allow owners to delete all messages: When enabled, channel owners can remove all messages in a channel. 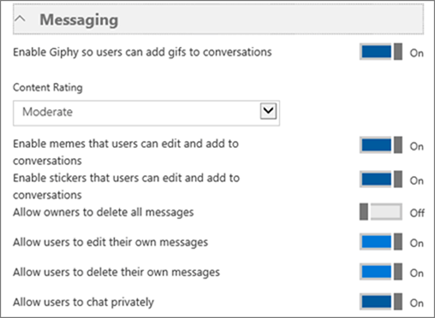 Allow users to edit their own messages: When enabled, users can edit their own messages. 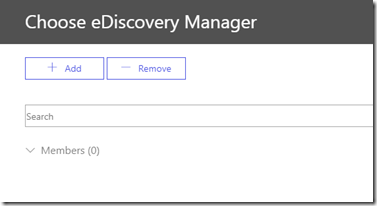 Allow users to delete their own messages: When enabled, users can delete their own messages. Allow users to chat privately: When enabled, users can engage in private chats that are visible only to the people in the chat, instead of everyone on the team. 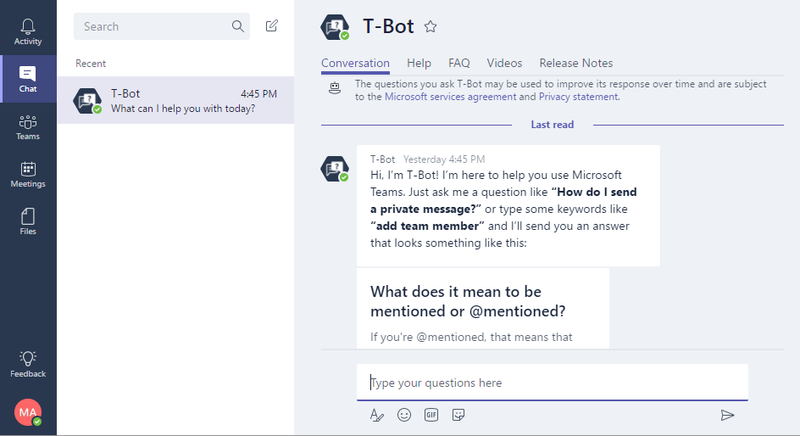 Microsoft Teams is a chat-based collaboration tool that provides global, remote, and dispersed teams with the ability to work together and share information via a common space. Teams provides a true chat-based hub for teamwork and give customers the opportunity to create a more open, fluid, and digital environment. A team is designed to bring together a group of people who work closely to get things done. Teams can be dynamic for project-based work (for example, launching a product or creating a digital war room). Or, teams can be ongoing, to reflect the internal structure of your organization. A team created in Teams will create an Office 365 Group, a SharePoint Online site and an Exchange Online group mailbox. Teams also provides a calling and meetings experience that is built on the next generation cloud-based infrastructure that is also used by Skype and Skype for Business. common use cases for each application in Office 365. Leveraged by users and teams who are looking to collaborate in real-time with the same group of people. Helps teams looking to iterate quickly on a project while sharing files and collaborating on shared deliverables. Allows Users looking to connect a wide range of tools into their workspace (such as Planner, Power BI, GitHub, etc.). Communicates and connects with users who are outside of immediate workgroups or organizations. Leveraged to help connect users across the organization to organize around communities of practice and share best practices. Leveraged for real-time communication and collaboration both internally and externally with customers/partners. Provides meetings with audio, video and content with small or large teams (including Town Halls with up to 10,000 participants). Leveraged for sites and portals (e.g. company news & announcements, search, and document collaboration). 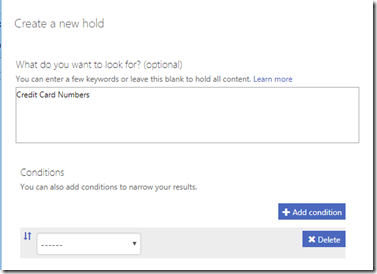 Implements business process automation on document libraries and lists of information by integrating Microsoft Flow and PowerApps. Full-powered SharePoint team site automatically provisioned for every Microsoft Team for file storage, team news, pages, lists and more. Data in Teams resides in the region based on tenant affinity. Currently, Teams supports the Americas, EMEA, and APAC regions. * As of November 1, 2017, Teams offers data residency in the United Kingdom for new tenants only. 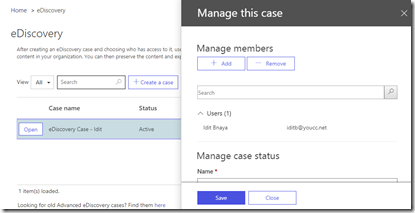 A new tenant is defined as any tenant that hasn’t had a single user from the tenant sign in to Microsoft Teams. Microsoft Teams delivering advanced security and compliance capabilitie such as:File encryption.Auditing and Reporting,Compliance Content Search,eDiscovery,Legal Hold,two-factor authentication, single sign-on through Active Directory, and encryption of data in transit and at rest. 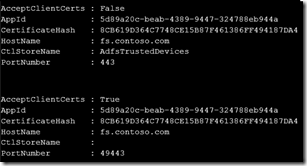 By default, the Teams license is enabled for all users with eligible Office 365 subscriptions. 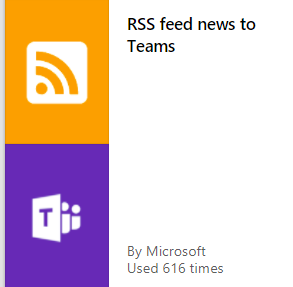 By default, Teams is turned on for all organizations. As an administrator for your organization, you can assign user licenses to control individual access to Teams, and you can allow or block what content sources can be used in Teams. Visit the Teams product roadmap to stay on top of what’s coming next in Teams and decide the best time for your organization to move to Teams. Microsoft Teams, now provides Audio Conferencing and Phone System with Calling Plans capabilities to meet additional business requirements by extending the Teams meeting and calling experience to include external parties connected via the Public Switched Telephone Network (PSTN). The new calling capabilities providing call history, hold/resume, speed dial, transfer, forwarding, caller ID masking, extension dialing, multi-call handling, simultaneous ringing, voicemail, and text telephone (TTY) support. Audio Conferencing license is available as part of Office 365 E5 subscription plans, or as an add-on to Office 365 E1 or Office 365 E3 subscription plans. 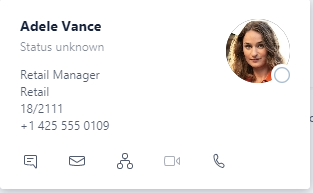 Note -If you already use Skype for Business Online PSTN Conferencing today, you can immediately take advantage of Audio Conferencing in Teams. 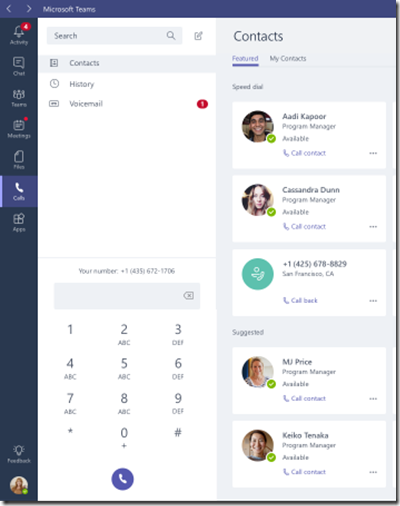 To enable the Calls tab in Teams and allow your users to make and receive PSTN calls,the first thing you need is Phone System (formerly Cloud PBX), which is included with Office 365 E5 and available as an add-on to other Office 365 plans. From there, you can subscribe to a Calling Plan (formerly known as PSTN Calling) for any number of users in your organization. you will need provision users for Phone System and Calling Plans. To learn how to set this up, read Set up Calling Plans. 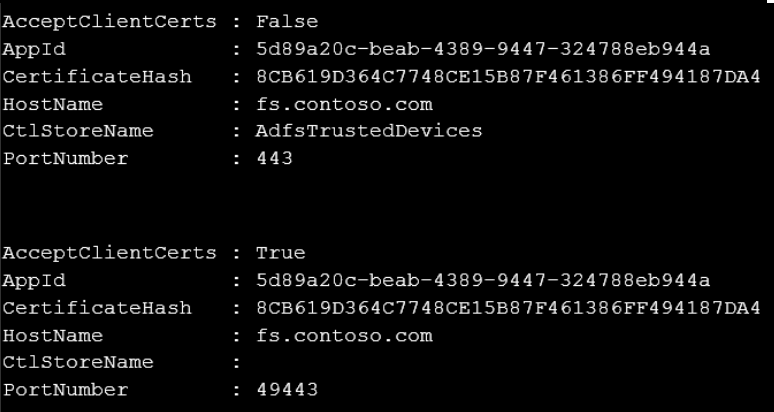 *-CsTeamsInteropPolicycmdlets, to redirect calls to Teams. 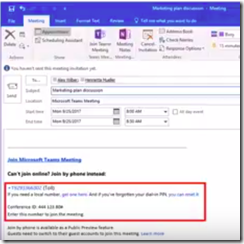 For more information about Teams interop policy, see Microsoft Teams and Skype for Business Interoperability. Note -Users that have been provisioned with Phone System and Calling Plans licenses for use with Skype for Business Online, and configured with the default global Teams interop policy, will have the Calls tab enabled in Teams and can place outbound PSTN calls from Teams without administrators having to take any administrative action. Microsoft Flow is a cloud-based software tool that allows employees to create and automate workflows across multiple applications and services without the need for developer help. 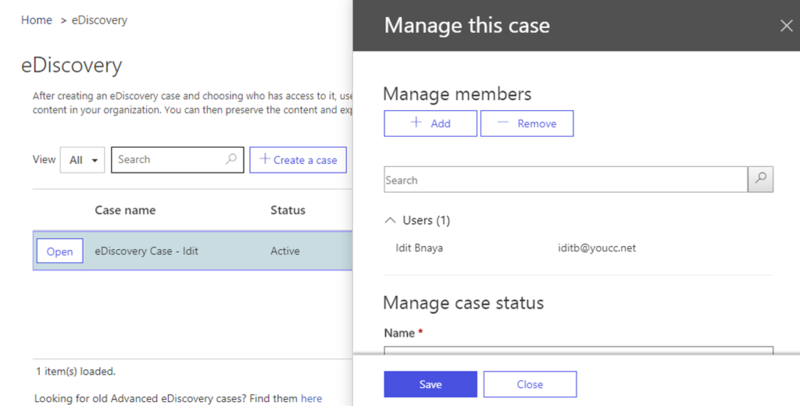 With Microsoft Flow, you can quickly and easily build custom automations without needing to write a single line of code. 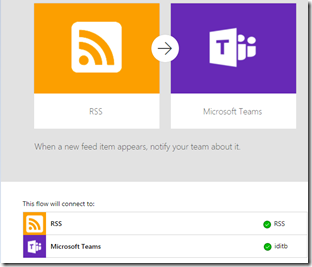 Microsoft Teams connector for Flow enables you to alert your team of any new activity by posting messages to an existing Teams channel. 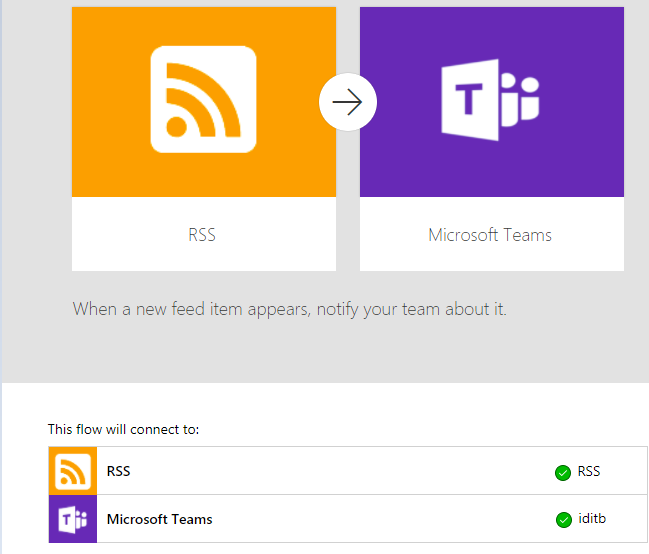 Using the Teams connector in Flow, you can create workflows to automate complex processes while keeping your team in the loop about what’s happening. 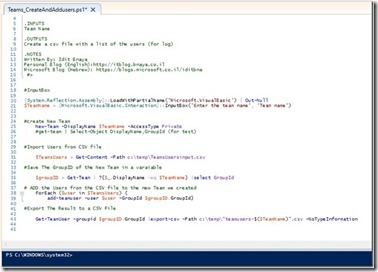 I use it as a KB to my IT team for professional sites like Microsoft TechNet,Blogs and more.. 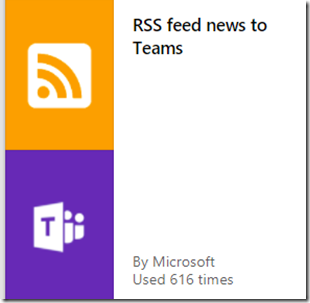 I created a team for “Teams updates” and the RSS feed is for the Microsoft Teams blog – When a new feed item appears it will notify my team about it. Message – Write the message according to your needs. Once done the new flow will show up in “My flows” from there you can edit,delete,export and see analytics about the flow. לבצע פעולות יומיומיות פשוטות ביעילות על ידי שימוש באוטומציה. If you only see one certificate, and the NotAfter date is within 5 days, you need to generate a new certificate. Check that the CertifiacteHash is correct.